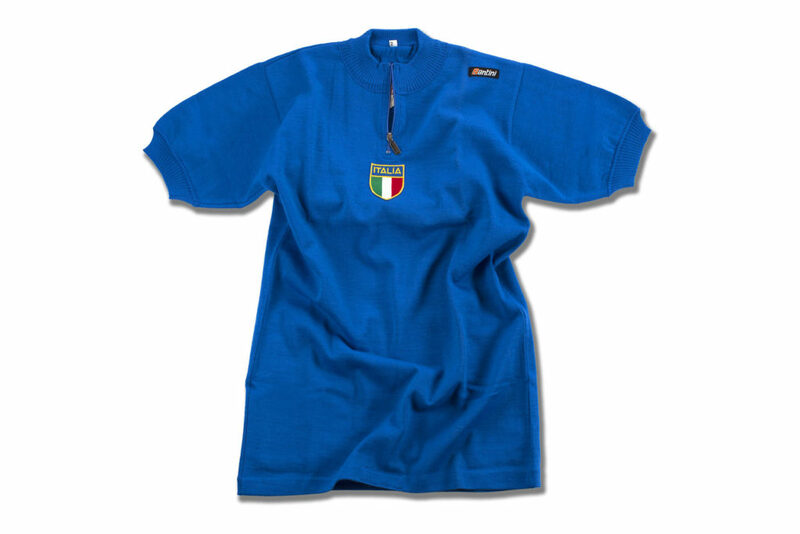 Official L’Eroica jersey, a replica of the Italian National Team jersey from the 70s, made by Santini sms with embroidered logo, mother-of-pearl buttons, back pockets, and a zip-up collar. 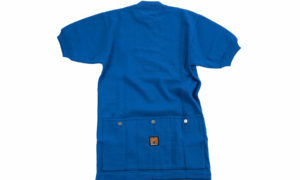 The color defined as “Azzurro Italia” reflects the intense blue of the sea and sky that embrace our wonderful country. 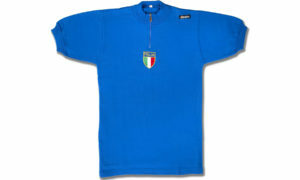 We reproduced the Italian national team jersey exactly as it was made in the 1970’s. 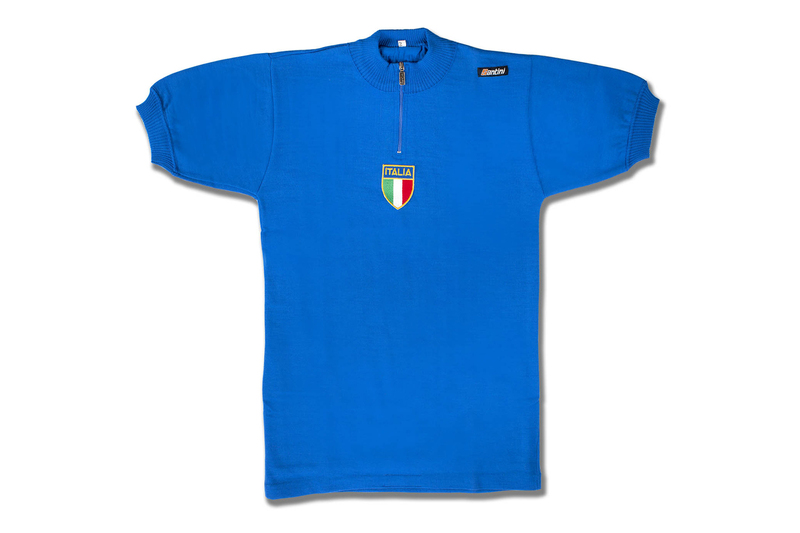 A tribute to Italy and the great riders who have worn it in the past. 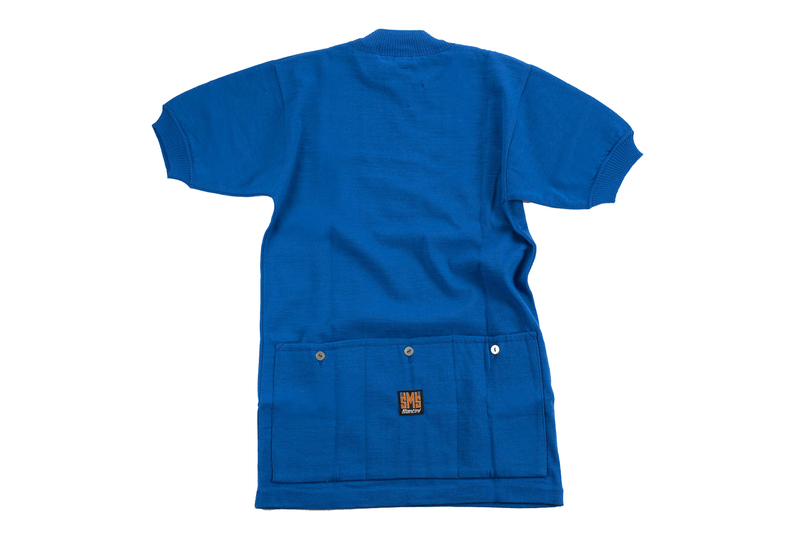 Made of wool and acrylic and finished with a short metal zip, tricolour crest embroidered on the chest and triple back pocket with mother of pearl buttons. The “Eroica Approved” label ensures the originality of the garment and the approval for it’s use in all the Eroica races. 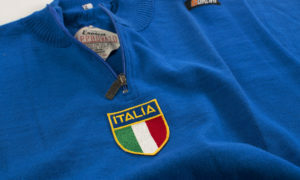 The Santini brand was born fifty years ago, in 1965, when Pietro Santini took over his sisters’ knitwear factory. 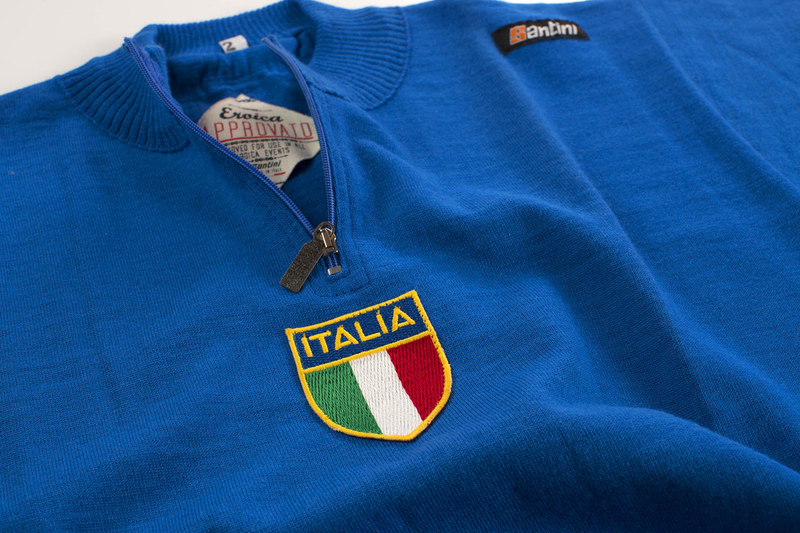 The name Santini Maglificio Sportivo, stems from the production of knitted sportswear, as was typical at that time. A name that has never been changed, despite the technological evolution of production methods and fabrics, because it is part of a genuine family history, hard work, passion and tradition. The Racing Heritage line was created to celebrate the tradition of road cycling. Santini opened their precious company archives and sought out some of the jerseys that have defined the history of cycling. The Maglia Rosa, the Italian national champion jersey, the World Champion Rainbow jersey and a vintage version of the Italian national team jersey. We wanted to reproduce them exactly as they were made in the past, handmade in Italy and recreated down to the smallest detail, to enable you to live the Eroica experience to the fullest.